Are you an absolute novice to camping? Do you know any essential camping skills? Whether you are an experienced camper or if you’re heading out on your first camping trip, it never hurts to make sure your camping basics are up-to date. Spending time outdoors is a great way to relax and connect with nature, but it can also be miserable if you are unprepared. Let’s face it, anybody can go camping and be miserable. But a miserable camping experience is usually the last camping experience. By providing you with the basic skills, we hope that your first experience camping is memorable and amazing! By learning the necessary skills, and most importantly putting that information into practice, you can focus more on nature and your surroundings and less on the distraction and misery of not knowing the basic camping skills. I highly recommend going camping for the first time with someone who is an experienced camper. But even then, there are a few essential skills that you need to be knowledgeable about before planning your first camping trip. And, what you will do when you arrive? 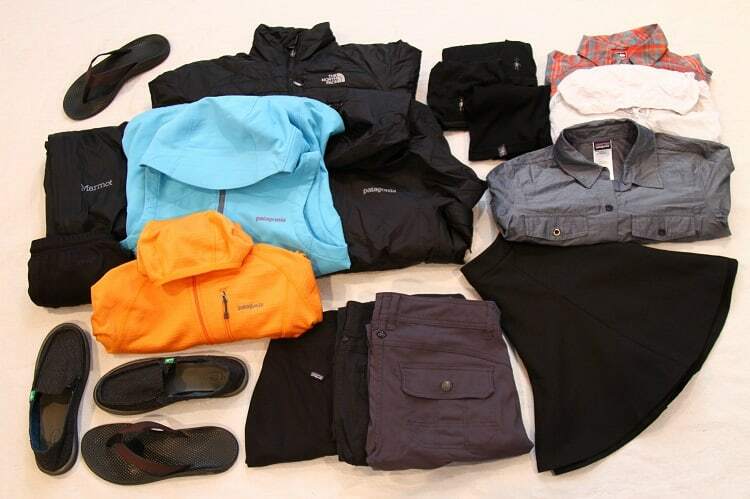 Once you answer the basic five questions, you can start gathering your gear. You’ll also need to understand where to get water. Is it readily available or do you need to bring a couple a 5 gallon jugs? Don’t forget to make campsite reservations if necessary. Make an equipment list for each trip you take as a reference. After each outing, update your lists, improve on them and save for future trips. Finally, plan for Murphy (Murphy’s Law) to show up. In other words, have a plan for when things go wrong. Many new campers are guilty of bringing too much stuff. You don’t want to forget anything ‘just in case’ right? 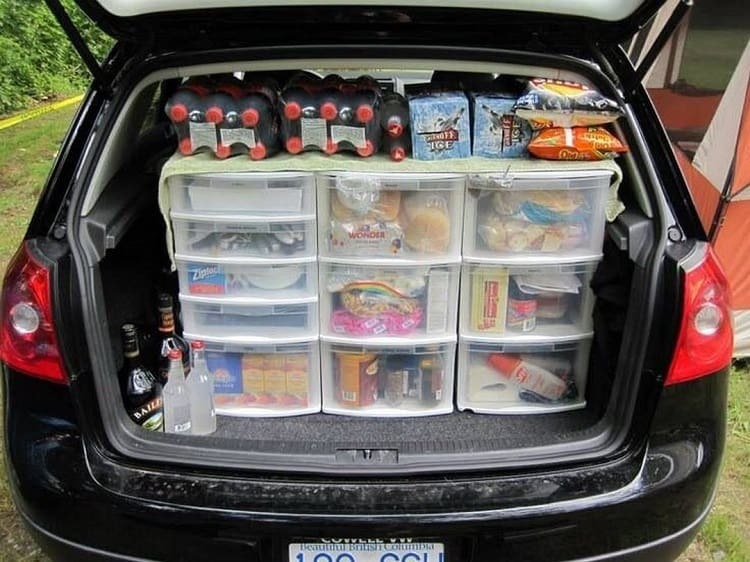 However, over packing for your first camping trip, can be an unexpected hassle. Let me help you avoid that blunder by providing you with a checklist of essentials, that you can tweak to fit your needs. This list will cover cooking, sleeping and some creature comforts. Buying gear can be expensive. Borrow or rent gear for your first few trips, to get a sense of what you actually need. It’s good to always carry a basic first aid kit. But, if you don’t know how to use what’s in your kit, your first aid kit isn’t very helpful. You don’t need a full blown crash bag, just an assortment of bandages, ointments and basic medications such as Benadryl and a pain reliever. 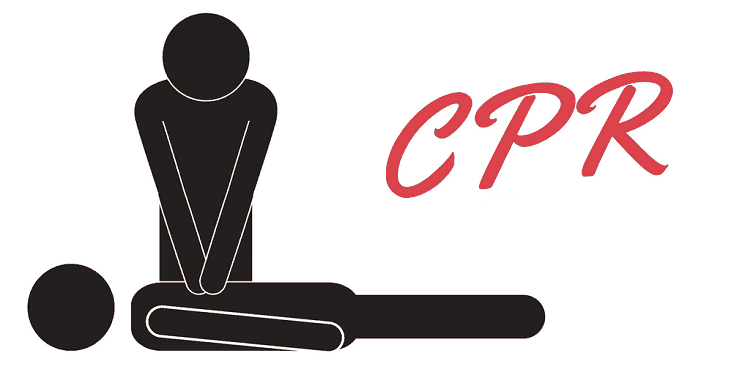 If you plan your outing sensibly, the chances of facing a true medical emergency are greatly reduced. However, it’s always better to have the tools and training just in case. The number one way to be uncomfortable in the outdoors is to wear the wrong clothing. Remember to bring multiple layers that are comfortable, breathable and warm. Look for non-cotton layers that you don’t mind getting dirty. Start with a base layer (t-shirt), then add mid-layer such as a sweatshirt or light fleece. Finish with a warm layer that can be easily added or removed. A big down puffer coat is essential and will prevent you becoming chilled when the sun goes down. If you get warm, you can always remove layers until you are comfortable. Don’t forget the hat and gloves. Even summer camping can get chilly and you never know when you might need a little extra warmth. Finding the perfect spot to set up camp can be daunting for beginners. 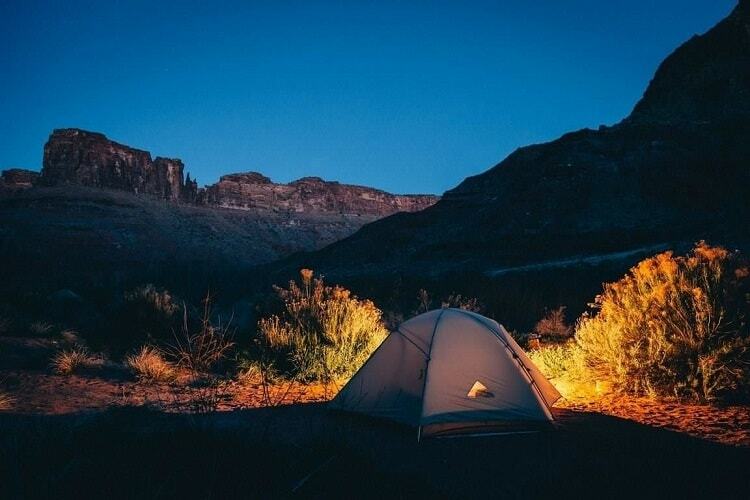 Once you arrive at your campsite, your first task is to pick the spot where you’ll pitch your best tent. Then, survey the surroundings to ensure the area has sufficient space between other elements of your campsite, such as the fire pit and picnic table. Remember, if you are not in an established camping area and are picking a spot from scratch, you will have many factors to consider, such as: finding a level area for your tent, proximity to vehicle, distance to campfire, available water and protection from wind and the sun. The ideal spot has a flat, level surface of soft soil or groundcover. Avoid rocky sites. Also, set up your tent far enough away from cooking area and fire pit to avoid odors from food or smoke from the campfire. Every time you set up a campsite you will get better at picking an ideal location. I love everything about the outdoors, but I like to keep the outdoors out of my tent. Before pitching your tent, find a flat even surface with plenty of room to move around. Make sure there are no dips, rocks, sharp objects or any other debris that would make sleeping in the tent uncomfortable. Depending on the tent you choose you might have to learn how to stake down the corners, configure the poles, attach the floor, and put on the rain-fly. Most tents come with instructions, so read and understand, before you are at the campsite. You should practice setting up your tent in the backyard a few times to get proficient and feel more confident when away from home. Remember the goal is to sleep like a baby, wake up well rested and of course, dry. I view a fire as an essential part of the camping experience. Knowing how to build, start and maintain a campfire is a valuable skill, which takes practice. 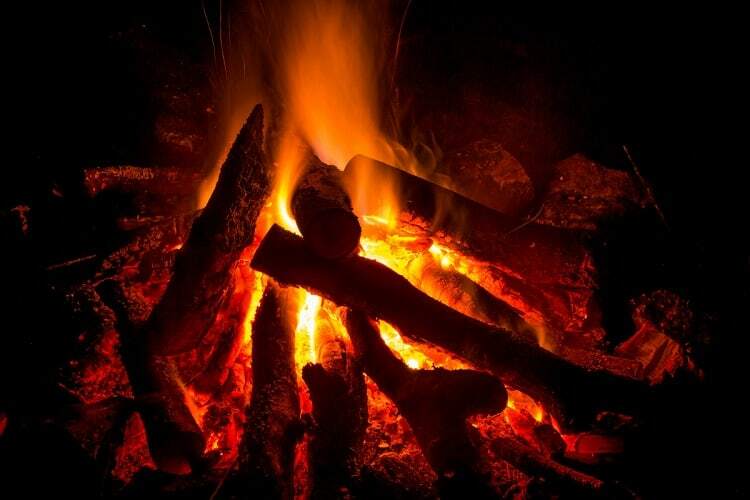 A campfire is not only for cooking but provides heat and comfort. Before building a campfire, start with clearing the area of flammable debris, gathering tinder (e.g. dry grass, leaves, and pine needles), some kindling (e.g. small twigs), and wood. Getting a fire started seems like a no-brainer, but it can be challenging for beginners. Begin by placing a small amount of tinder in the middle of your pit. Leave enough space to light the tinder and allow airflow to aid in the starting process. Light the tinder from the bottom and gradually add kindling, slowly increasing the diameter of material, as you go. 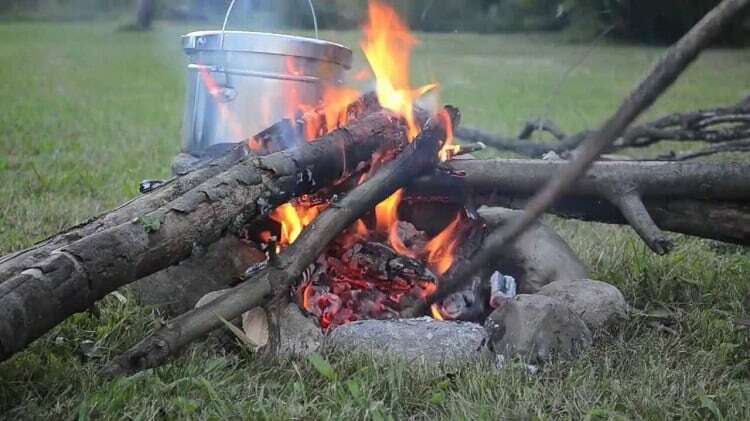 Once the fire is consistently burning you can gradually add larger pieces of firewood until you reach a useful size fire. Be sure to use dry wood at first and then once the fire is established, moist wood should be fine to use. Error on the side of caution when building your first campfire, you do not need a bonfire to cook or stay warm. Only burn tinder, kindling and wood. Always extinguish the fire completely. Campfires are not always allowed. Before you head out, make sure you are fully aware of campfire rules, regulations and restrictions for your camping destination. Tying a knot may not seem important, but it can be a valuable skill on a camping trip. If you are tying down a tent, hanging your bear bag, or securing your equipment for transport, ropes and knots are essential tools. 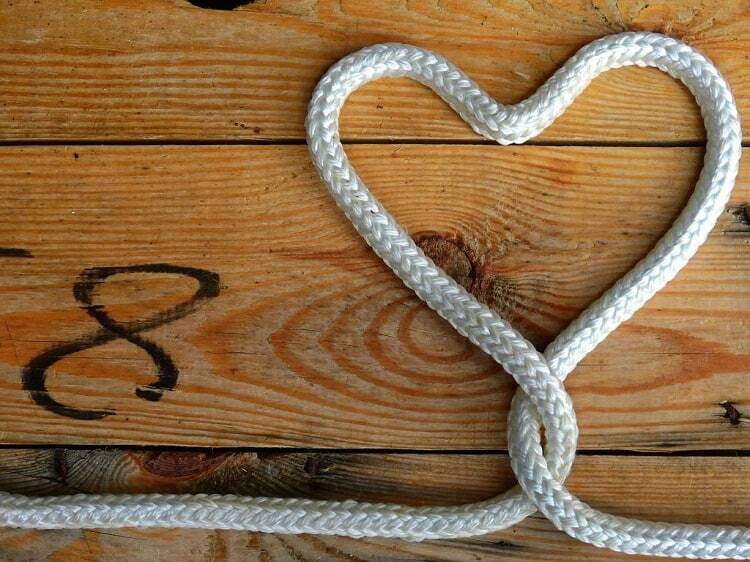 There are many knots, but you will only remember the ones you use consistently. A couple basic ones to learn are a bowline and clove-hitch. These are the most useful for camping beginners. There are lots of online resources that teach knot tying, just search YouTube, or find a pocket guide at your local bookstore. 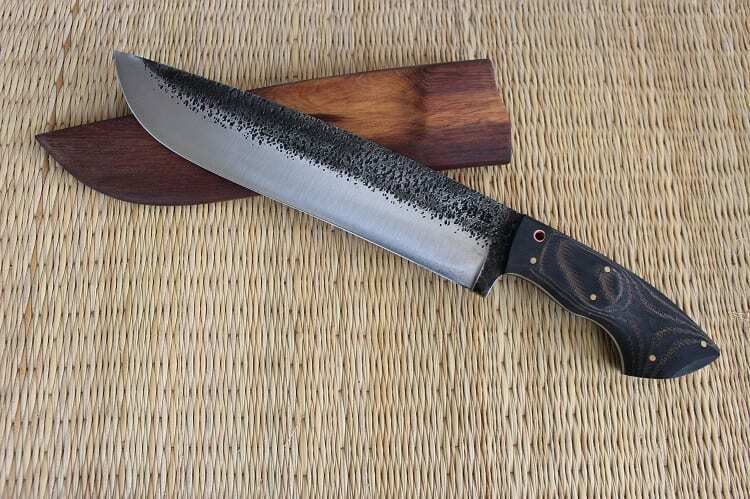 Many new campers don’t wish to carry a knife, but having one is convenient for many tasks, from cutting rope or a steak, to opening food containers and spreading peanut butter. The best knife for camping is the one you feel most comfortable using. Choose one you like and learn to properly care for it, so it is ready when and if you need it. You can’t bring your kitchen with you to the campsite. So, you’re going to need to learn how to cook simple recipes either over an open fire with a grate, or on a camp stove. An easy no hassle dinner is a must for the first night. When you arrive set out some snacks to enjoy while setting up your site. We usually bring cheese, sausage, crackers, hummus, veggie sticks and pita already prepared to eat. Then for dinner, we will heat up a chili or stew we prepared at home on a grate over hot embers. Make sure you wear an oven mitt or gloves when handling hot pots and pans. Some campers simply bring canned goods and the best camping stove, and that’s great, too. Practice using stoves and burners at home, so you’ll know what exactly to do when you’re out there with hungry mouths to feed. And, if you’re like me and crave coffee each morning, a durable French press is indispensable. Just heat up some water, scoop your favorite roast into the press and enjoy hot coffee in minutes. Be sure to always store food safely at night in animal proof containers or hang food in a tree if you’re in bear country. If you follow the rule of,”Leave No Trace,” your campsite will be in better condition when you leave, than when you arrived. Once all your gear is packed, go over the site thoroughly, cleaning up. 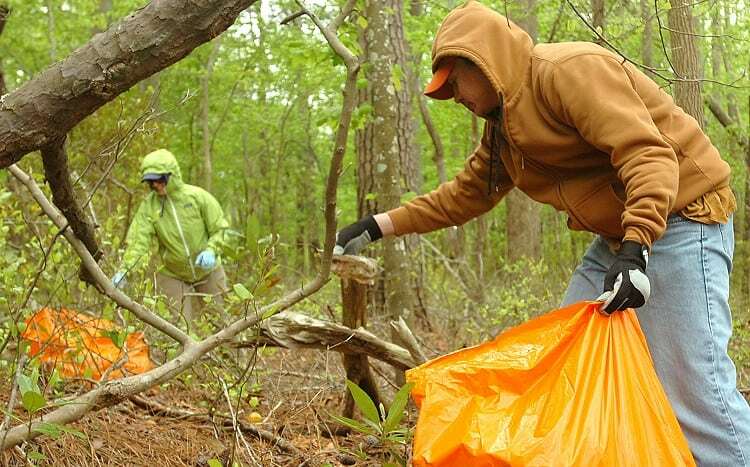 Pick up all trash, food scraps and debris, (even trash left from others) then double check just before leaving. Pack out all of your trash and place it in appropriate containers. Most importantly, make absolutely sure you’ve completely extinguished your fire before hitting the road. 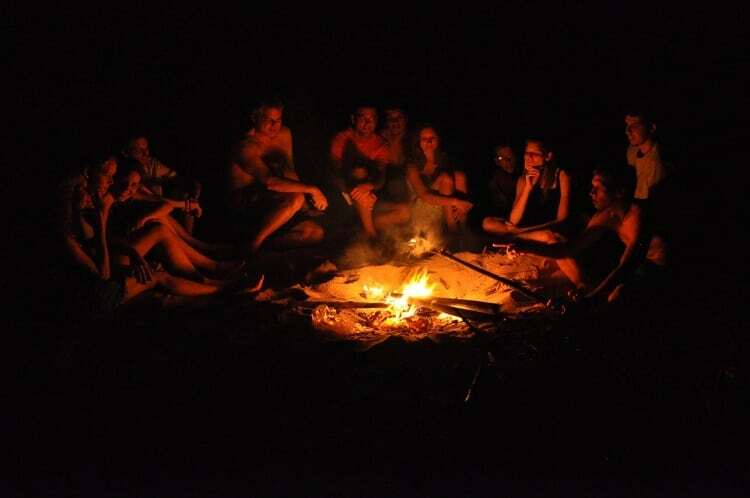 Nothing beats gathering around a roaring fire and sharing epic sagas or spooky tales. A great storyteller can transport you into the adventure and nobody complains about that when you’re cozied up around a warm fire. It doesn’t hurt to have a few ideas in your head, before you hit the road. How many of these skills do you already have? How many do you need to improve? Camping is an adventure that requires some basic know-how and some essential pieces of gear. And, these basic skills are important to share with your whole family, too. 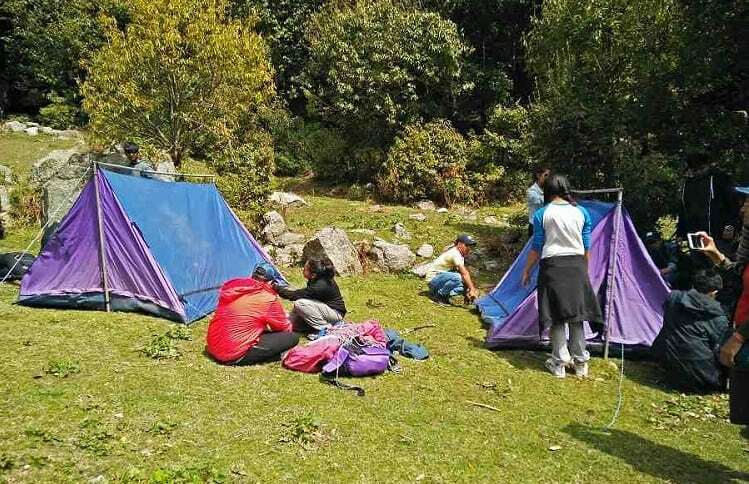 Once you’ve learned and practiced the basic camping skills, you will quickly discover that no matter the place, the weather or length, camping is an awesome adventure. What are your thoughts? Let us know in the comments.